Jazz and blues piano teacher in London. 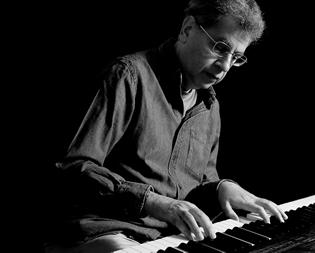 I am a jazz and blues piano teacher in London and have worked as a professional keyboard player for over forty years. 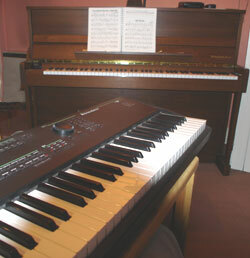 During each one-hour session we will work with two keyboards to develop your playing skills. You will learn the theory that will enable you to find your own style, whether it is jazz or more leaning towards blues. You can only get so far playing alone with teach-yourself jazz piano books. Working alongside a jazz piano teacher will give you that essential practical experience. Here is the link to my online video course called Learn Jazz Piano. Free jazz piano audio podcasts online!